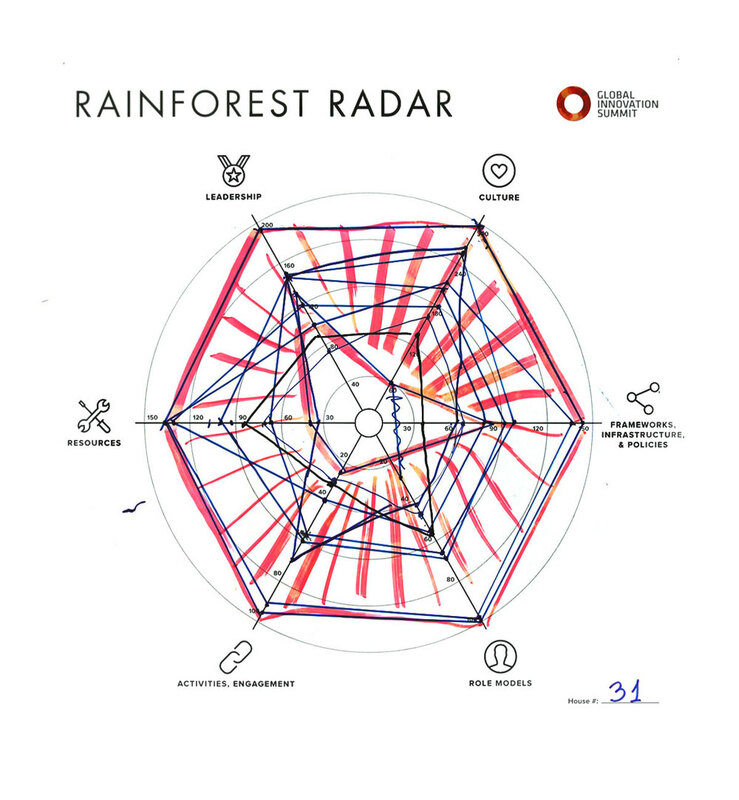 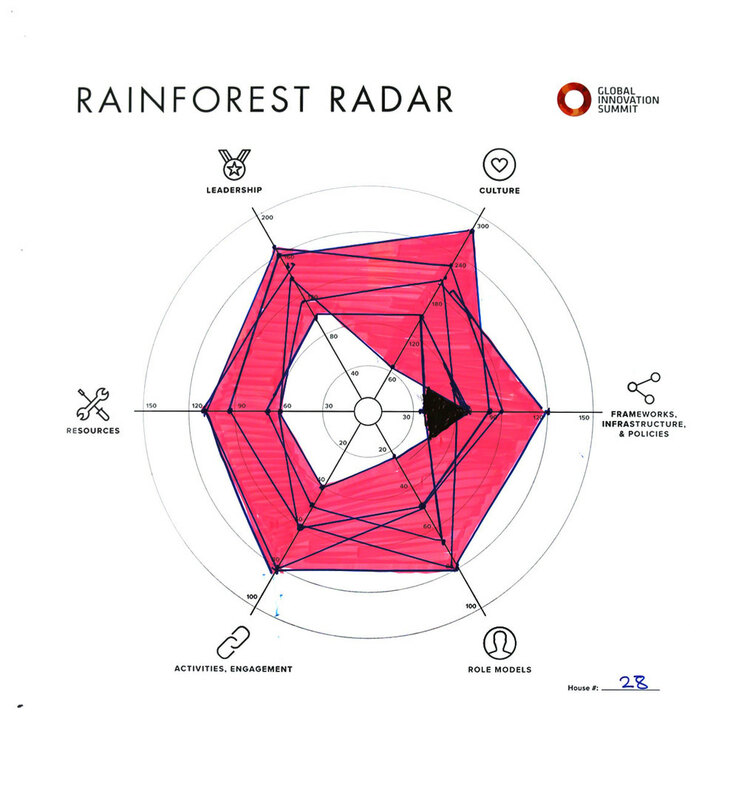 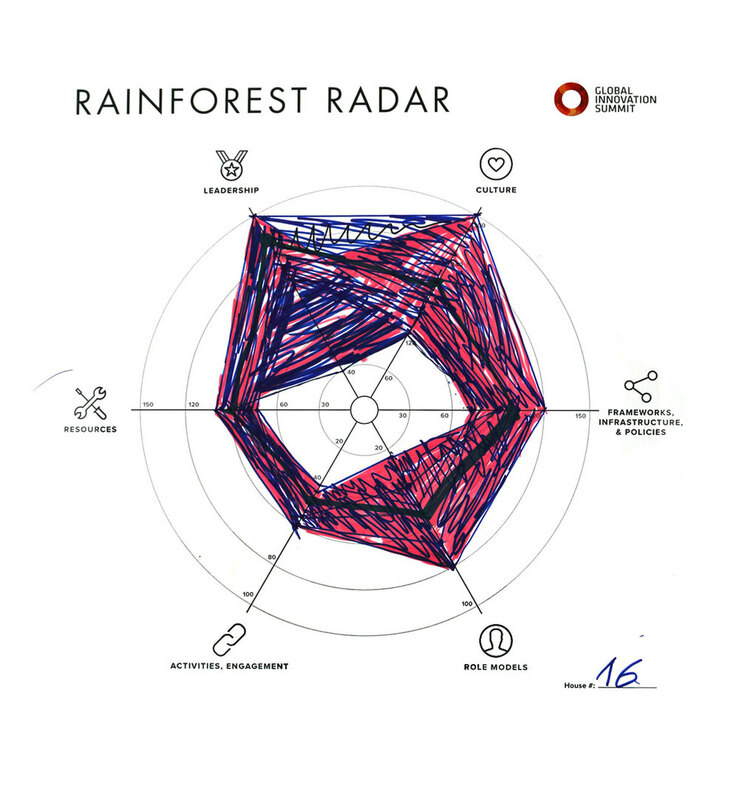 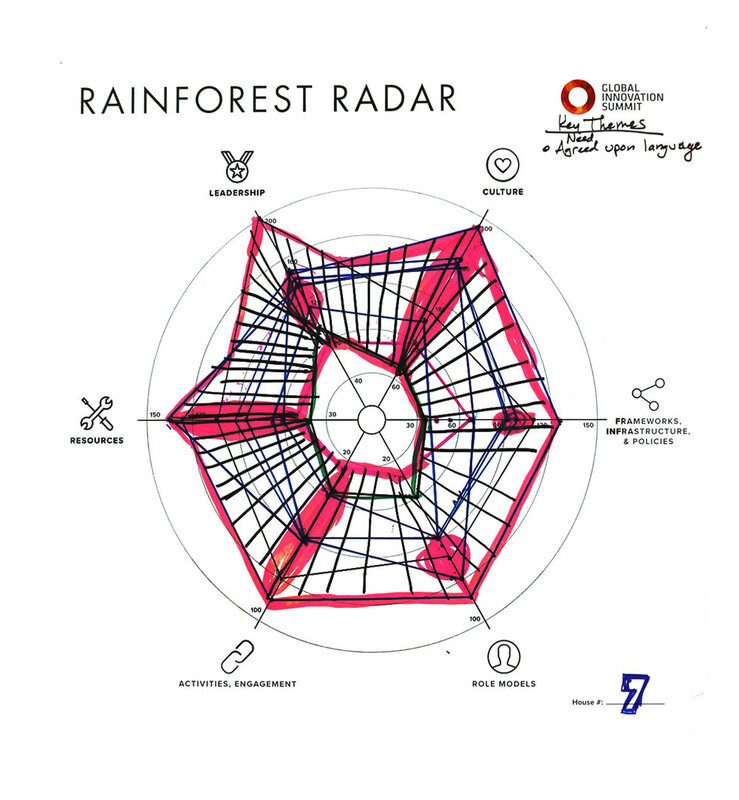 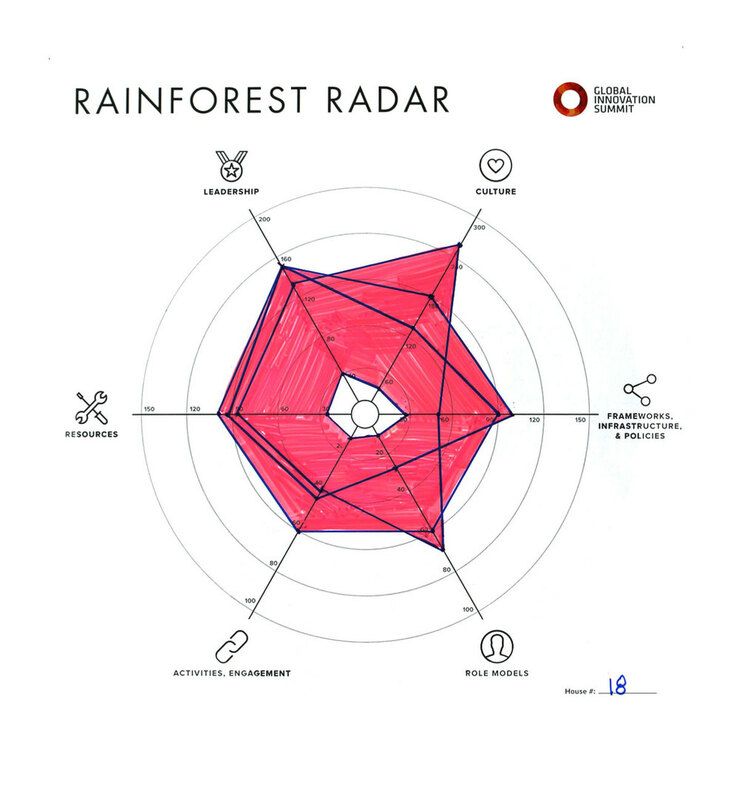 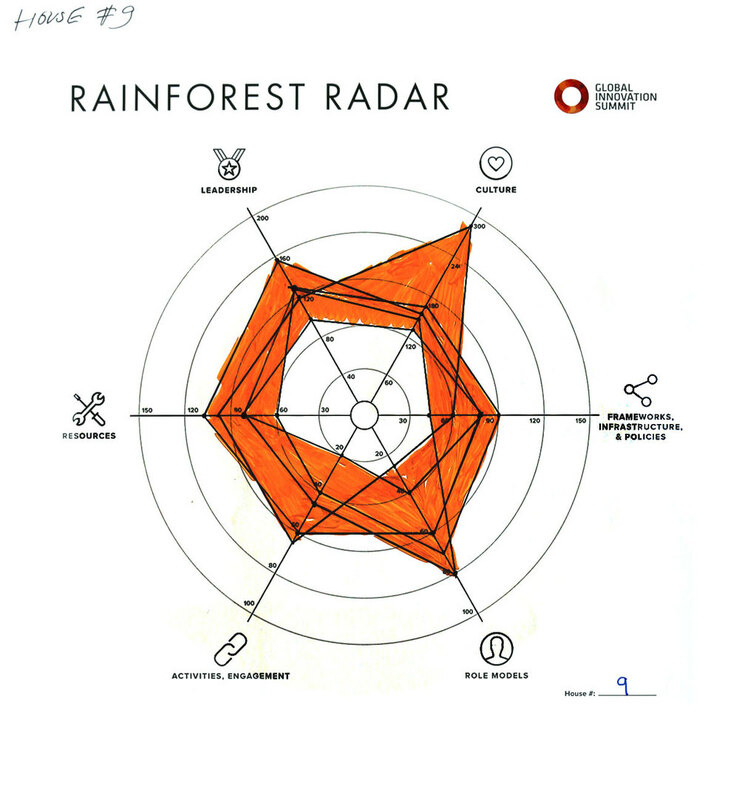 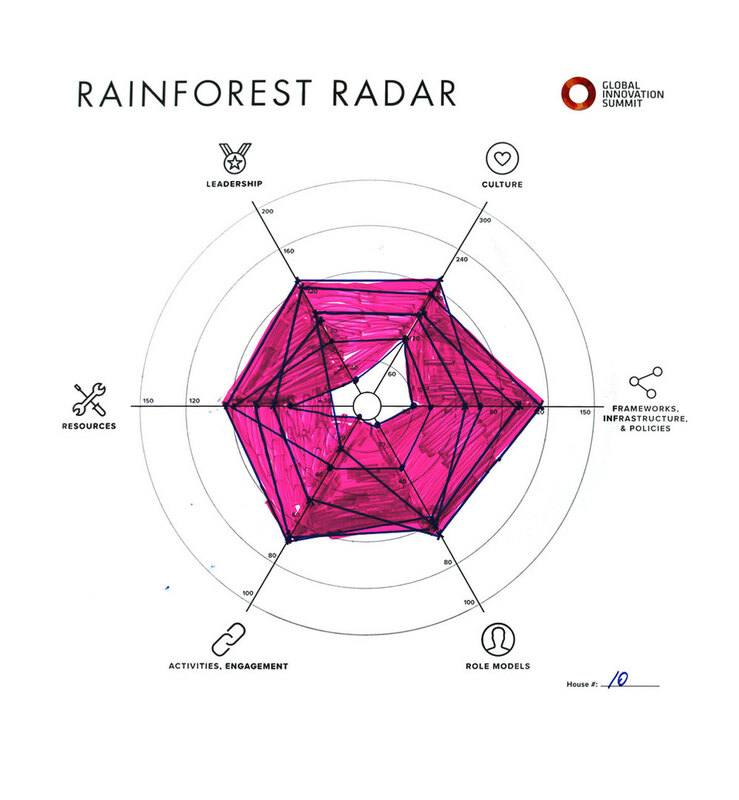 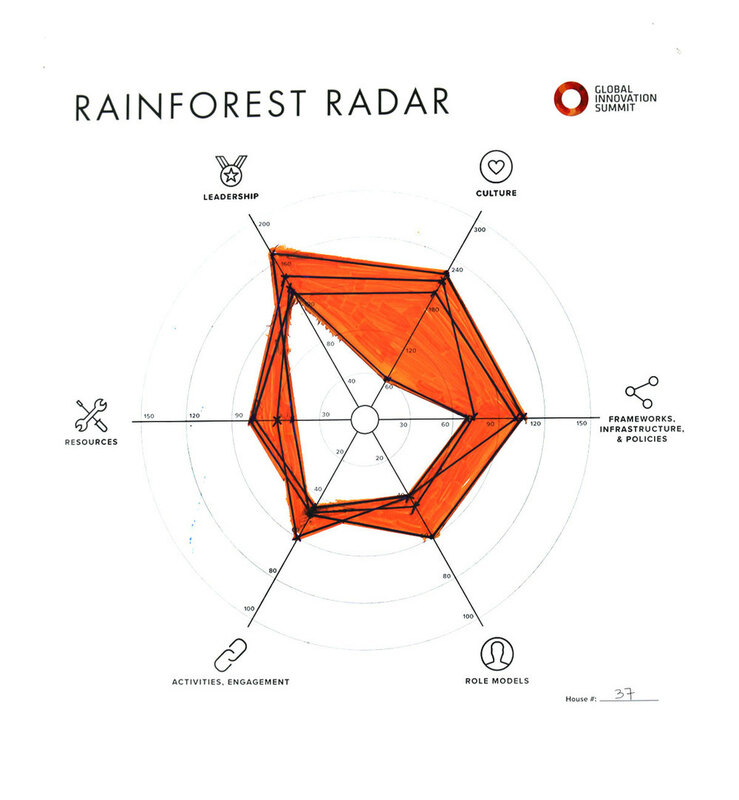 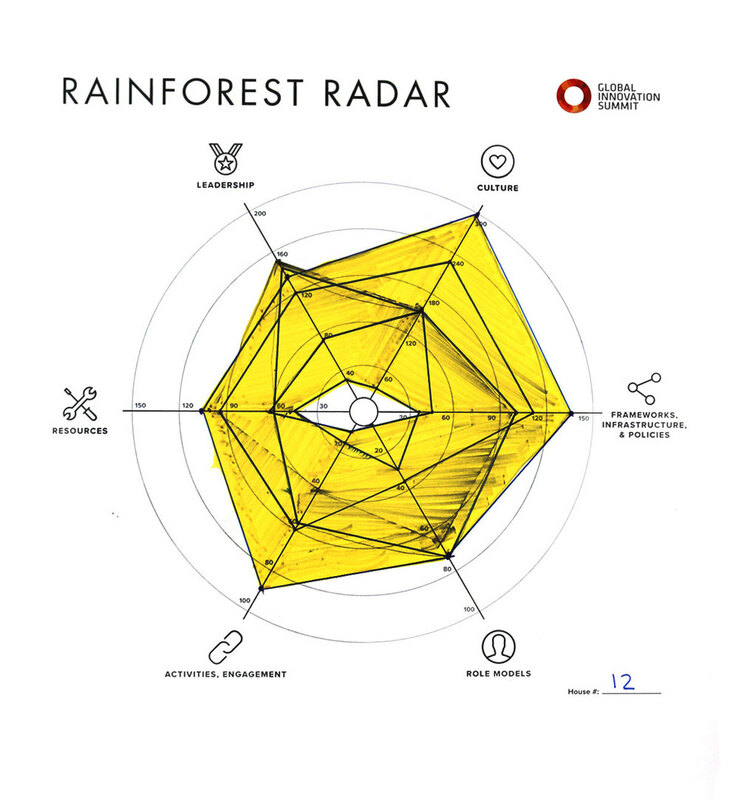 All participants were assigned to small teams in a massive real-time, hands-on “laboratory.” Every participant contributed their Rainforest Scorecard data to build the first ever mapping of global innovation ecosystems onto Rainforest Radar charts. 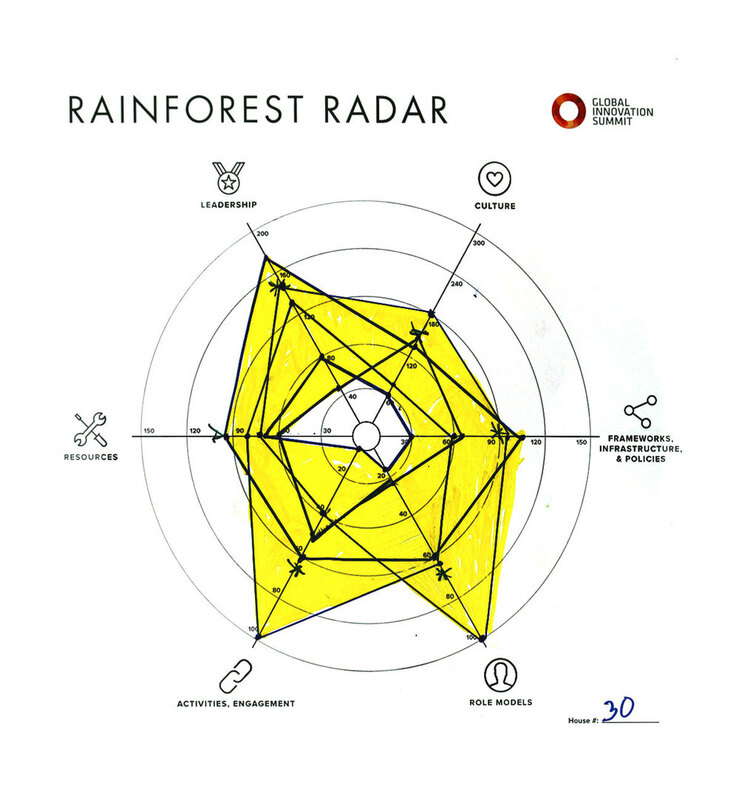 When building an ecosystem, it always helps to view your challenges from multiple sides. 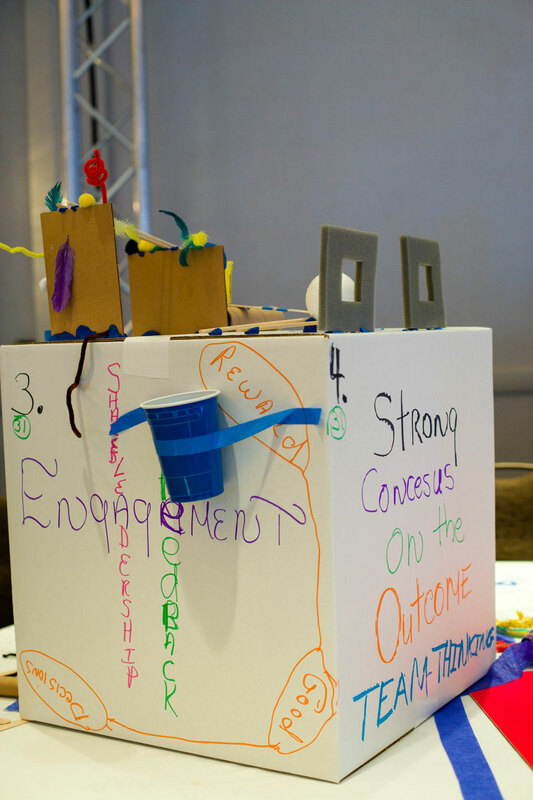 Using cutting edge design tools and approaches, the teams identified strategic issues, visions for success, and articulated solutions to the real challenges facing the participants on the team. 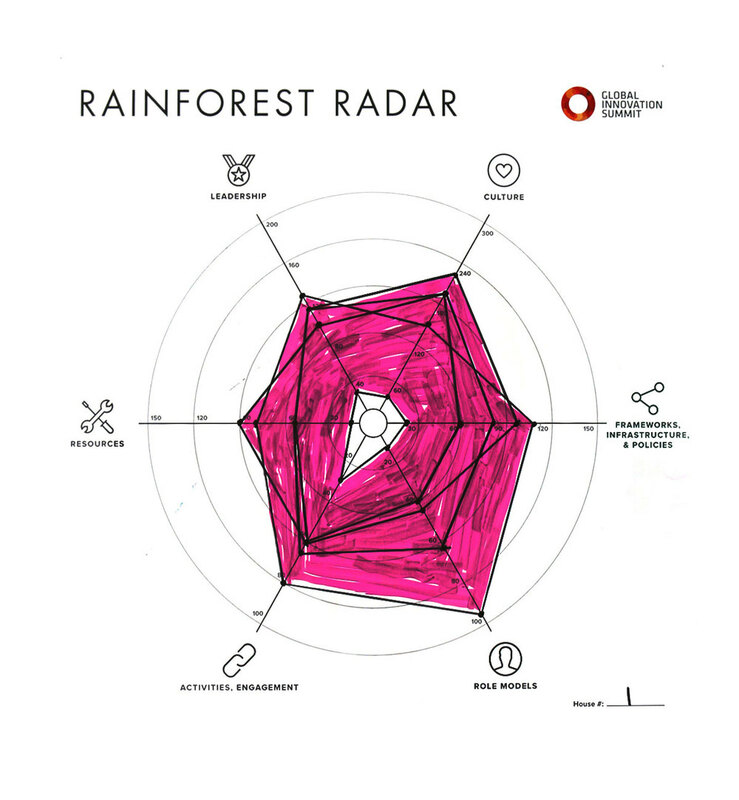 Everyone at the Summit got to be an ecosystem architect. 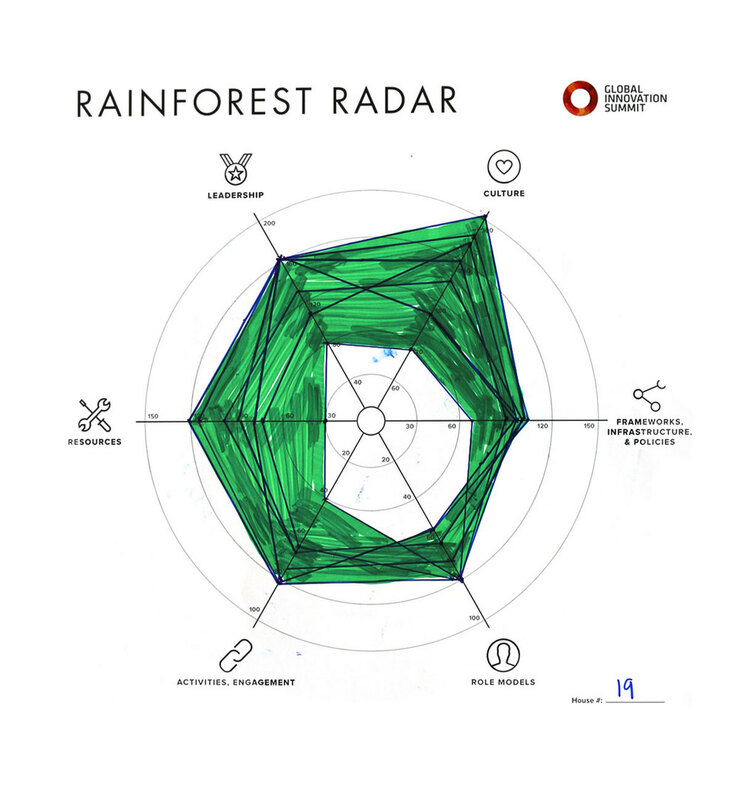 All teams created 3-D models of a real-world solution to a difficult systemic challenge. 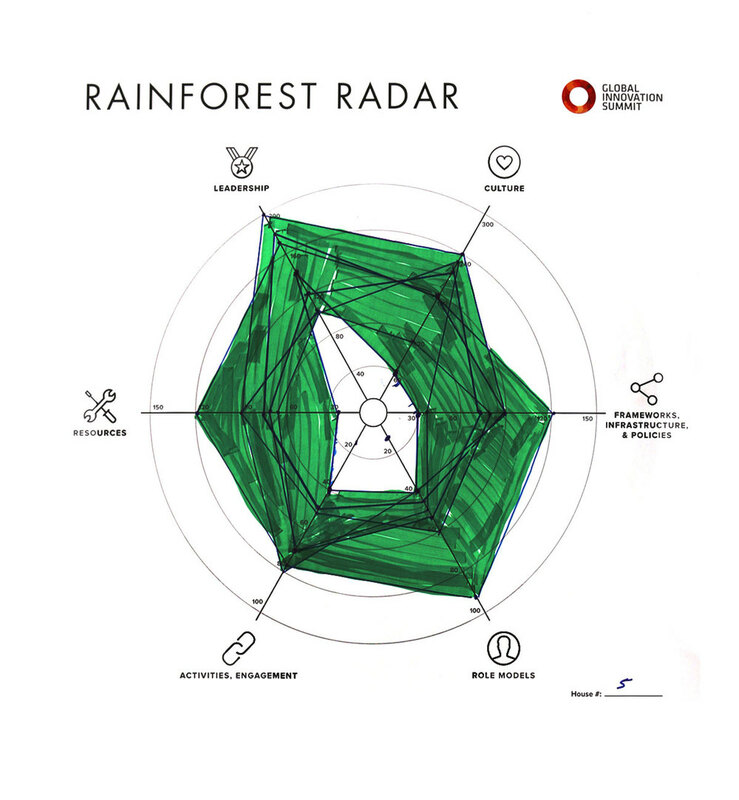 They didn’t just talk about ecosystems. 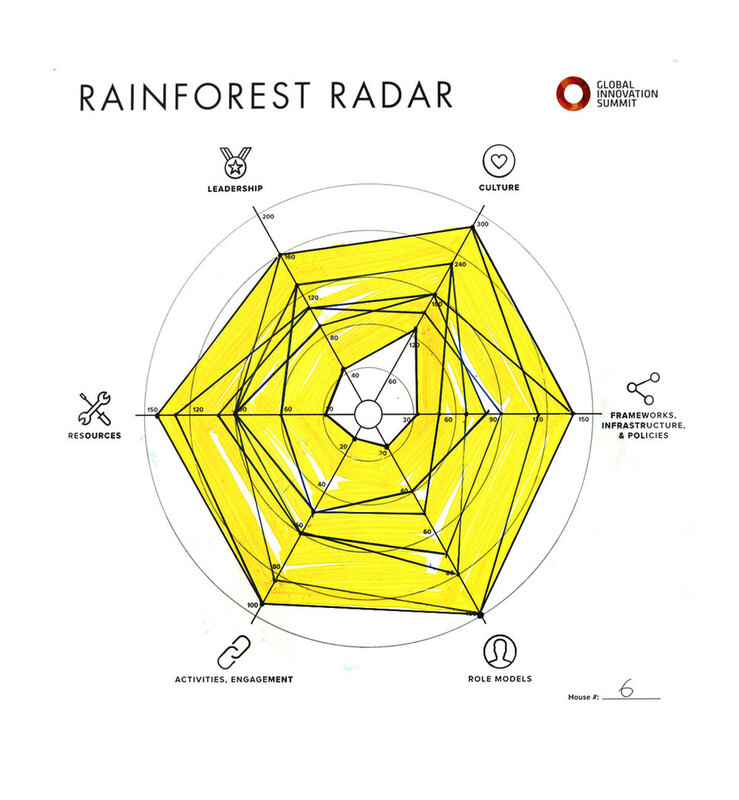 They built them, in real life. 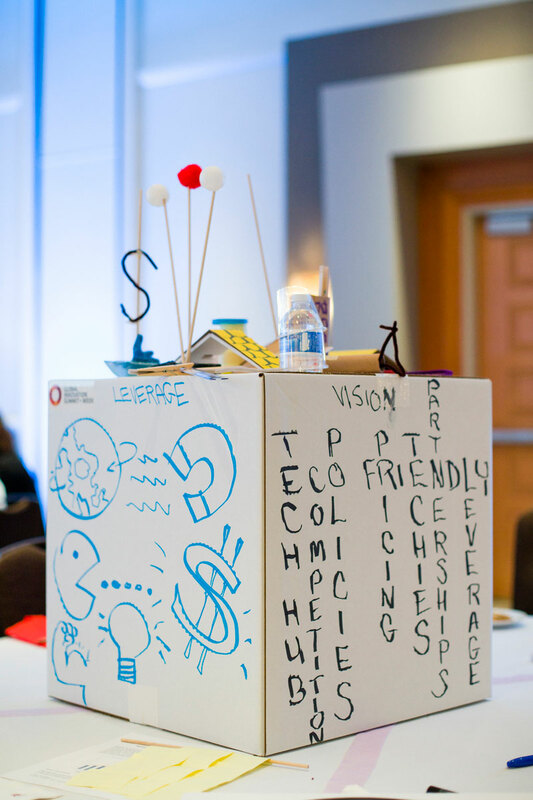 How do you transition from the creative process to begin implementation? 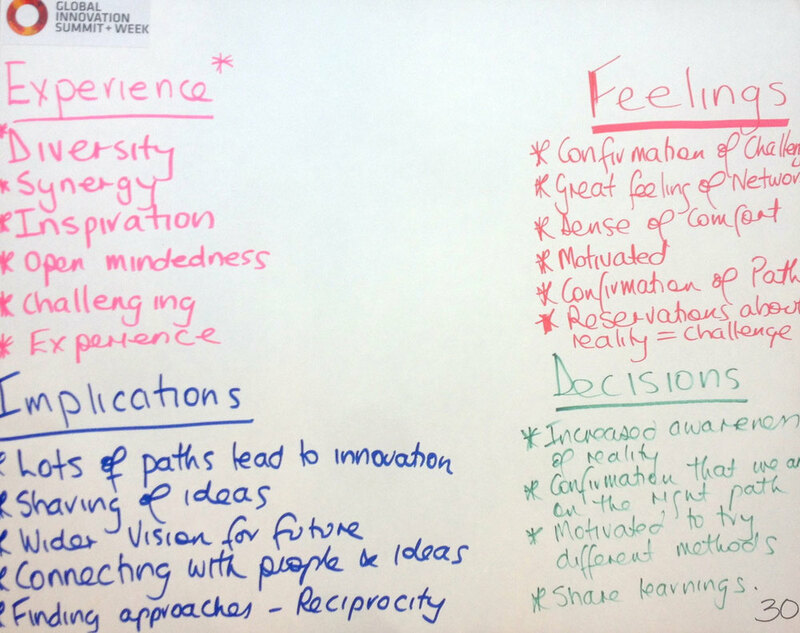 This session guided participants to reflect and synthesize their learnings, then helped them shape their future to turn ideas into action and results.